In the late 70’s I was enrolled at Arlington Baptist College, and I was fortunate to serve on the staff of Dr. Raymond Barber at Worth Baptist Church. One of the ministries I was involved with was the Rescue Mission in downtown Fort Worth. 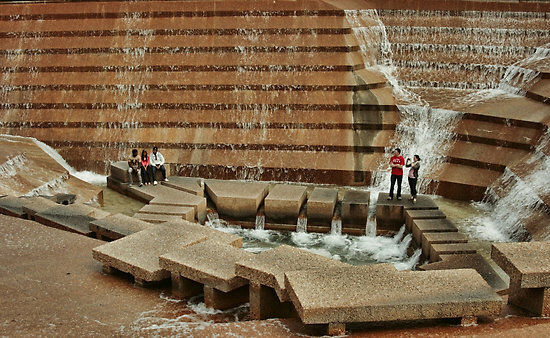 At that time, the Rescue Mission was located close to the Fort Worth Water Garden. The setting of this ministry was a stark contrast in reality. On one side of the street, there was a dilapidated building that served men who were the outcasts of society—men who had been beaten down by the trials of life. On the other side of the street, there was the magnificent beauty of the water garden with the relaxing sound of its refreshing water. •	If you are a drunk, the sobering news is that Jesus loves you and He can quench your thirst. •	If you are hooked on drugs, Jesus is the only way that gnawing hunger in your hear will ever be satisfied. •	If your life seems to be one trial after another, Jesus promises to ease your burden and to help carry your load. Jesus said He came to seek and to save the lost (Luke 19:10), and one day I realized that I was the object of that search. Jesus was not searching for me to criticize me or to be demeaning to me. He came to give meaning to my life, to give me a purpose for living, and most of all to save me. Jesus changed my life on an October day in 1972. What He did for me and for those men at the Rescue Mission, He will do for you.